When it comes to the right mix of food, architecture, and culture, nothing beats the city of New Orleans. Considered to be one of the most cultural cities in the South, it has been home to different cultures like Spanish, African, French, and Caribbean. 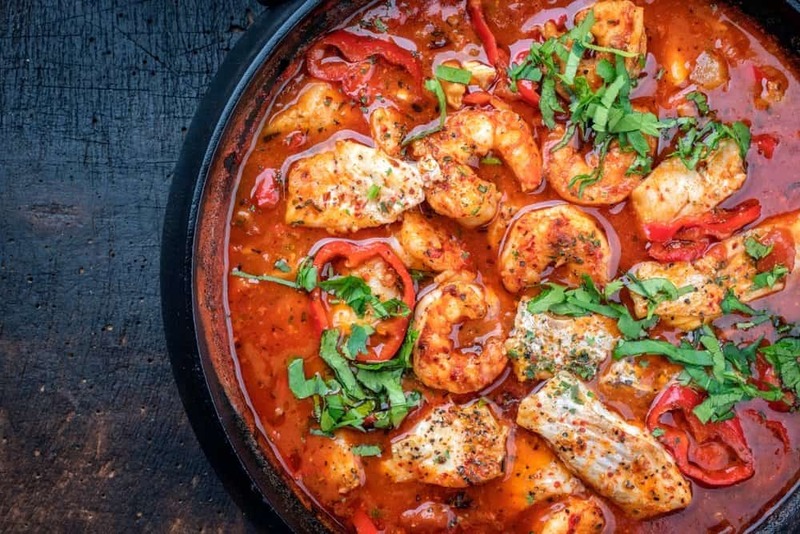 This unique blend of culture paved the way for the development of plenty of stews and dishes, including Jambalaya and Gumbo which are called the two Bayou Stews. These dishes have lots of similarities—they are stews that are eaten with rice and contain similar ingredients. Because of this, many people get confused as to which is which. If you want to have your entrees straightened out, you need to familiarize yourself with the difference between gumbo and jambalaya. This article will tell you about their differences in detail. Gumbo is a dish which features a broth that is made thicker by the addition of dark roux, okra, and sassafras leaves. In addition to flavorful meats and shellfishes, it also has lots of spices and seasonings like onions, bell peppers, and celery. On the other hand, Jambalaya also contains meat (like chicken or sausage) as well as spices and vegetables (bell pepper, onions, and celery). This stew is made by cooking meats and vegetables in the pan first. Once these are cooked, rice and stock are then added to the mixture. It will be then simmered for up to an hour. Although they may look the same, these two dishes have completely different cooking methods. Gumbo is cooked by cooking roux in a cast iron pot until brown. The cooking process takes about 25 to 40 minutes. Afterward, meat and vegetables are added to the roux then simmered for hours. It is then served with rice which was cooked separately. On the other hand, jambalaya is made by cooking meat first followed by the vegetables. Once the vegetables are already translucent, tomatoes and seafood are then added. The rice and stock are then added to the pot. These dishes also vary in their cooking time. Since gumbo is a thickened stew, it requires to be simmered for at least three hours. The worst part is, the cooking process requires frequent stirring, so you need to be as involved in the process as possible. On the other hand, jambalaya is considered to be faster to be cooked as compared by gumbo as it takes only about an hour to make. It is also not that tedious because you do not need to stir it from time to time. While these dishes contain similar ingredients, you can easily differentiate these based on its consistency. Gumbo is a stew and is considered to be much thicker. That is why it is never served over or mixed with rice on a plate—it is served separately. On the other hand, the final consistency of jambalaya is considered to be drier. This is because the rice in the dish already soaked up the liquid of the stew. Both dishes have variations. Let us take a look at what these are. This variation features a dark roux which gives it a burnt-like color. This uses okra as its thickener and may also contain sausage, chicken, duck, and seafood. It is topped with parsley and green onions. For this variant, the thickeners used are tomatoes and seafood. This uses an only a moderate amount of cayenne pepper, and that is why it is a lot less spicy than Cajun gumbo. This is a meatless gumbo variant that contains mustard greens, turnips, and spinach. This variant is the least popular of all because it is tedious to make. This dish contains tomatoes which give it a red color, hence the term, red jambalaya. Other ingredients include peppers, onion, celery, and proteins like sausage, seafood, and chicken. It is also called as brown jambalaya because it does not contain tomatoes. This mostly includes seafood, onions, celery and bell peppers. This is called as such because the rice is cooked separately (in a savory stock) and then added to the meat and stew mixture before being served. Ever wondered what to serve with jambalaya and what to serve with gumbo? Well, some pairings work well for both jambalaya and gumbo. This includes cornbread. The most common pairing for gumbo is white rice, but this is not an option for jambalaya as it already contains rice. Instead, the best pairings for jambalaya are savory crepes and seafood pies as they go well with the proteins included in the dish. Since gumbo is a thickened stew, it is usually paired with fried items that you can dip into them like pita wraps and hushpuppies. As it turns out, there is a lot of difference between gumbo and jambalaya regardless of how similar they seem. But if you are still confused as to which is which, just keep this simple explanation in mind: Gumbo is a stew served separately with rice while jambalaya is a stew that contains rice. That simple! Do you want to help others figure out how to differentiate jambalaya and gumbo? If yes, please share with them this article!